A survey of religious liberty under the CCP regime leads to the conclusion that there is no religious liberty in Communist China, although the regime’s efforts to eradicate religion went through different stages and used different strategies. Reports about religious liberty in China are published almost every month. And with the best of intentions: those producing such reports really care about religious freedom. However, there are some problems with several reports, or at least improvement is possible. They collect valuable details and mention individual cases, but sometimes miss two aspects of the larger picture. The first is the ideology: what is the general purpose of the Chinese Communist Party (CCP), and today of Xi Jinping’s, policy towards religion? And the second is the legal framework. 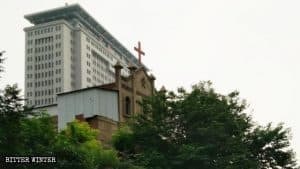 House churches in general, for instance, are often put in the same lot with religious movements classified as xie jiao, while the legal situation of house churches not listed as xie jiao is very much different. When discussing the situation of religious liberty in China, it is important to note that there has never been religious freedom in the country. In Imperial China, it was a prerogative of the emperor to decide what religions would be promoted, tolerated, or persecuted. From the 5th to the 10th century CE, there were at least four attempts at eradicating Buddhism from China altogether. In the late Ming era, the legal category of xie jiao was created to indicate the “heterodox teachings,” listed as such in imperial edicts and severely persecuted (which often meant that their leaders and a good number of followers were killed). The Emperor decided which groups were xie jiao based on his theological inclinations and on political considerations. Christianity as a whole was declared a xie jiao in 1725, and severely persecuted, although its situation changed due to Western military pressure in the 19th century. Emperors were generally suspicious of new religious movements (some of which really tried to overthrow the government on the basis of millennial utopias) and generally listed them as xie jiao. When in doubt, they considered these movements as varieties of “White Lotus,” although modern scholars have proved that this classification was rather arbitrary and unrelated to the real White Lotus, a movement that existed in the Middle Ages but was later confused with others. There was no religious liberty in Republican China either. Theoretically, the Republic proclaimed that it would adopt a Western-style policy of religious liberty. In practice, its policies were heavily influenced by scholars who were either atheist admirers of the European Enlightenment or liberal Christians who regarded traditional Chinese religion as superstition. These scholars were persuaded that modernization required a policy of control and limitation of religion inspired by the French Revolution. 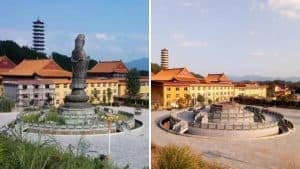 One of their slogans was “convert temples into schools,” and in fact thousands of Buddhist, Taoist, and Confucian temples were demolished or converted into secular schools. Folk religion was suppressed as superstition. The list of xie jiao remained into force and hostility to new religious movements persisted, although with a new rationale. New religions were still persecuted, but the reason was that they were regarded as a threat to modernization and progress rather than to the official religion sanctioned by the Emperor. Some forms of Christianity were tolerated, and some even promoted, as long as they were perceived as progressive, low-intensity, and favorable to modernization. Most of these policies remained into force in Taiwan during the Martial Law period, i.e. until 1987, when the situation in the island became much more favorable to religious liberty and new religions were allowed to flourish freely, in fact making Taiwan one of the areas in the world with the highest number of new religious movements. Chairman Mao (1893–1976) came to power in 1949 and established his Communist regime in China. Some of his documents about religion remain classified to this very day, but those known and published are enough to distinguish between two different periods in his attitude towards believers. Despite occasional propaganda arguing otherwise, there is little doubt that Mao was fully committed to atheism and the total eradication of religion. However, when the CCP first acceded to power, Mao believed that an immediate, severe and indiscriminate persecution of all religious believers was neither appropriate nor necessary. It was not appropriate, as it would have had catastrophic effects on the image and international relations of the newly established Communist regime. And it was not necessary, because Mao, as a dogmatic adherent to classic Marxist-Leninist philosophy, was firmly convinced that, as a Communist society and lifestyle were implemented in China, religion would disappear slowly and spontaneously, having lost the social roots it needed to survive. This had not happened in the Soviet Union, but Mao believed that Soviet Communism was imperfect, and that the true and perfect Marxism-Leninism will be implemented for the first time in China. This did not mean that Mao simply left religion alone. He believed the process of its gradual extinction should be accompanied, governed, and accelerated by the CCP, and took four major measures to implement this policy. First, he expelled all foreign missionaries. Second, he recruited believers sympathetic to CCP as fellow travelers to create five tightly CCP-controlled associations, into which he believed all religious communities should be incorporated: the Protestant Three Self Church (1954), the China Buddhist Association (1953), the China Islamic Association (1953), the China Taoist Association (1957), and the China Catholic Laity Patriotic Committee (1957), later renamed China Catholic Patriotic Committee, in short the Patriotic Catholic Church separated from the Vatican. Third, he tightened the control on Muslims in Xinjiang and, after he invaded Tibet in 1950, on Buddhists in Tibet. As modern scholars have demonstrated, Mao severely persecuted first Tibetan Buddhists living in regions of China other than Tibet and, when Tibetans in Tibet protested, he used the protests as a pretext to impose a regime of persecution there. Fourth, he continued the Imperial and Republican policies against new religious movements classified as xie jiao, although for ideological reasons of his own (connected with the fact that he did not regard them as religions) he preferred to use the label “reactionary secret societies” (反動會道門) rather than xie jiao. Mao’s persecution of the large new religious movement Yiguandao was a case in point, and in 1953-1954, according to police reports, 820,000 leaders and organizers, and 13 million followers were arrested, with thousands killed in the CCP’s jails. Since contemporary Yiguandao cautiously tries to be allowed back into China, it is not interested in promoting initiatives commemorating the extraordinary persecution it was subjected to in the 1950s, but its very magnitude makes it crucial for understanding the subsequent persecution of xie jiao in China. Mao’s measures did not work. While the Communist regime was implemented and consolidated, religion showed no signs of disappearing. On the contrary, it flourished, and its most vital and growing segment was constituted by Christian churches that stubbornly remained outside the government-controlled Three Self Church. Historians have firmly established that eradicating religion through violence, since the “soft” methods had failed, was one of the main aims of the Cultural Revolution, and that Mao, rather than being manipulated by others, was the main instigator of the Cultural Revolution and its atrocities. During the Cultural Revolution, between 1966 and 1976, all religious communities and institutions were liquidated, including those established and controlled by the CCP, i.e. the five authorized religions. Countless temples, churches, and mosques were destroyed, and an important part of China’s spiritual, artistic, and cultural patrimony perished forever. Even keeping at home a Bible or a statue of Buddha was enough to be arrested and, in several cases, killed. At least half a million believers, possibly many more, were either executed or died in labor camps. In early 1970, the Red Guards announced that religion had been “wiped away like dust” in China. Chairman Mao died in 1976, and Deng Xiaoping (1904–1997) rose to power in 1978. Deng quickly put an end to the Cultural Revolution, realizing that it was destroying not only Chinese culture and monuments, but Chinese economy and the regime itself. Deng’s version that the Cultural Revolution had been a catastrophic mistake remains the official orthodoxy to this day. One thing the Cultural Revolution had not destroyed, however, was religion. When the dust settled, it became clear that, although thousands of believers had been killed, religion had survived underground. Deng was not a critic of Communism, but he came to the conclusion that religion’s demise was a matter of centuries, not years or decades. In 1982, he enacted the famous “Document no. 19,” restoring the five authorized religions to their pre-Cultural-Revolution status. Deng even tolerated a “gray market” of unauthorized religions – although with limits: the Shouters, for example, were declared a xie jiao and banned in 1983, only one year after Document no. 19 – and encouraged traditional practices such as qi gong as “cultural” rather than religious. Deng’s system of limited tolerance should not be confused with religious liberty. The Underground Catholic Church and several house churches continued to be persecuted, and the propaganda for “scientific atheism” did not stop. However, the Deng era was, comparatively speaking, the less severe time for religion in Communist China. Some scholars believe that the Deng era continued with his successors, until Xi Jinping acceded to power in 2012. However, the situation gradually worsened even before Xi. There was a subtle shift from Document no. 19’s formula of “subjecting religion to socialist education” to the wording prevailing in documents of the 1990s, “actively guiding religion to adapt to socialist society,” which was reflected in new regulations enacted in 2004. Three events marked the worsening of the situation for religion in China in the period between Deng’s retirement in 1989 and Xi’s accession to the position of CCP’s secretary in 2012. The first was the renewed crackdown on xie jiao from 1995 on. This was mostly due to the unexpected success of Christian new religious movements, the largest of which was The Church of Almighty God, established in 1991. Since 1995, the list of the xie jiao became a main tool of massive persecution, reminiscent of the suppression of Yiguandao in the 1950s. Second, in 1999 the CCP clashed with Falun Gong, with which it had maintained a good relationship for several years as part of the tolerance and promotion of qi gong. Falun Gong was listed as a xie jiao and its persecution was extreme in terms of both scope and cruelty. The third event was the terrorist attack of September 11, 2001, which offered to the CCP the pretext to crack down on Muslim Uyghurs and other ethno-religious Muslim minorities claiming, falsely, that a very significant number of them supported terrorism. “Terrorism” and “separatism” were treated as synonyms, which also allowed for a renewed crackdown on Tibetan Buddhists. Paradoxically, another event making the situation of Uyghur Muslims in Xinjiang much worse had been the demise of the Soviet Union after 1989. 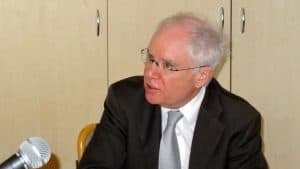 As long as the Soviet Union existed, the CCP was afraid that any unrest in Xinjiang would offer the pretext to the Soviets to claim that Xinjiang was in fact “Uyghurstan,” and its place was in the Soviet Union along other nearby republics inhabited by Turkic Muslims such as Kazakhstan or Kyrgyzstan. Xi Jinping became secretary of the CCP in 2012 and president of China in 2013. The term “neo-Maoism” is sometimes used for his ideology but should be handled with care, since Xi never denied that the Cultural Revolution had been a disaster for the country, nor did he renege the economic pro-capitalist reforms of his post-Mao predecessors. However, Xi exhibited some similarities with Mao in reinforcing the position of the CCP secretary, promoting the cult of his own (and, occasionally, Mao’s) personality, and cracking down on religion. A careful study of Xi’s pronouncements and policies on religion shows very clearly that he believes that too much latitude had been left to the development of religion in China since Deng. This has led to unprecedented growth of house churches and, worse still, of xie jiao such as The Church of Almighty God. Although his predecessors had already acted against xie jiao with ferocity, greatly reducing the presence of Falun Gong (but not of The Church of Almighty God) in China, Xi took new measures to “eradicate the xie jiao like a tumor,” as one of the CCP slogans, with a language similar to the 1950s’ campaigns against Yiguandao, recited. Times having however changed since the 1950s, Xi’s CCP also promoted a massive campaign of fake news aimed at justifying the persecution internationally, using the United Front to enroll scholars, anti-cultists (some of them Christian) and journalists in Asia and the West as fellow travelers. The massive international campaign to deny that organs of prisoners of conscience, particularly from Falun Gong, were “harvested” for transplants in China and the false accusation that The Church of Almighty God was responsible for the McDonald’s murder of 2014 (in fact, perpetrated by another religious movement) were two spectacular examples of Xi’s international campaigns of fake news. Xi had lost patience with Deng’s strategy of accompanying religion to a slow demise through a process that would last for decades or even centuries. He decided to act decisively against all three segments of the Chinese religion. The official CCP-controlled five authorized religions had to understand that they existed to administer the demise of religion, not to promote it. Xi ordered, in particular, the strict enforcement of provisions forbidding minors to enter churches or temples, or to be subject to any form of religious education, hoping this would prevent the transmission of religion to the new generations. Xi not only continued, but brought to a record scope in the number of those arrested, detained, and killed the campaign against Uyghurs and other Muslim minorities in Xinjiang, dissident Buddhists in Tibet, and xie jiao. Those members of Falun Gong who still remained in China were again mercilessly hunted, but Xi’s main wrath was reserved for The Church of Almighty God, as his specialized anti-xie-jiao police told him that, despite the repression, it was still growing and by 2014 had reached the spectacular number of four million members. In 2018, Xi’s policy on religion was institutionalized with the coming into force of the New Regulation on Religious Affairs, which had been signed into law on August 26, 2017. Xi’s main aim became clear. Between the five authorized religions and the banned xie jiao lies the so called gray market, the area of religion including most Chinese believers. They attend the Protestant house churches, the Underground Catholic Church, and a plethora of Muslim, Buddhist and Daoist organizations, mosques and temples that are not part of the official associations. The core message of the new law, whose full implementation awaits further regulations, is that the relative and limited tolerance this gray market had enjoyed since Deng’s Document no. 19 is coming to an end. 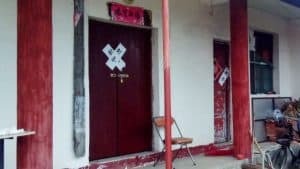 The house churches and independent mosques and temples are told that they have two alternatives: either they join the official associations of the five authorized religions or they will be persecuted and relegated in the hell of the xie jiao. In the second half of 2018, legal scholars started noticing an alarming phenomenon. Article 300 of the Chinese Criminal Code, which makes it a crime to be active in a xie jiao, is applied by judges against believers whose communities are not listed as xie jiao, yet are not part of the five authorized religions either. 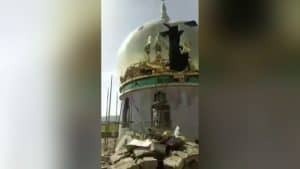 Places of worship of the gray market religions – churches, mosques, Buddhist and Daoist temples, as well as crosses and statues of Buddha or Lao-Tzu – are increasingly destroyed. 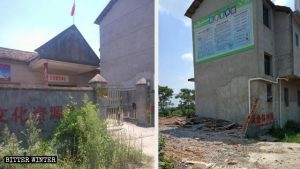 Some places of worship of the five authorized religions are also occasionally demolished, using as pretexts violations of zoning regulations or the fact that, despite the official prohibitions, minors have been allowed inside. While other segments of the gray market are simply bullied into joining the five authorized religions, Xi seems to be aware that this strategy would not work for the Underground Catholic Church, as long as it would have the international backing of the Roman Catholic Church, the largest religious organization of the planet. The CCP has thus adopted a different strategy with the Catholics, signing on September 22, 2018, the Vatican-China deal of 2018, and insisting that its clauses should be kept secret. Theoretically, with this agreement Xi should get rid of the Catholic problem, as the underground Catholic Church should gradually merge with the CCP-controlled Patriotic Catholic Church, under bishops appointed by the Pope but agreeable to the CCP. However, there are resistances in the Patriotic Catholic Church and in sectors of the CCP itself, as well as criticism by certain Catholics. How successfully the agreement will be implemented remains very much to be seen. Xi Jinping faces an increasing international public relations problems. Fake news is still occasionally believed about xie jiao such as Falun Gong and The Church of Almighty God, but scholars on the CCP’s payroll have been exposed, and most Western scholars increasingly offer alternative narratives challenging the propaganda. Falun Gong continues its international public campaigns denouncing the CCP, and a coalition of human rights activists, scholars, and NGOs protesting the persecution of The Church of Almighty God is gaining momentum, something the CCP did not expect. 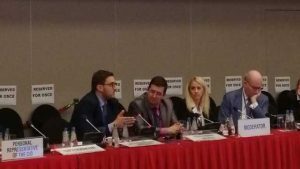 The fact that one million Muslim Uyghurs are detained in inhumane conditions in the “transformation through education” camps has generated a strong reaction in the international community. And obviously, Muslims are a larger and more powerful international constituency than the xie jiao. However, Xi Jinping seems to have consciously decided to answer international criticism only with increased efforts at propaganda, spreading fake news, and manipulating or corrupting a certain number of international politicians, journalists, and scholars. 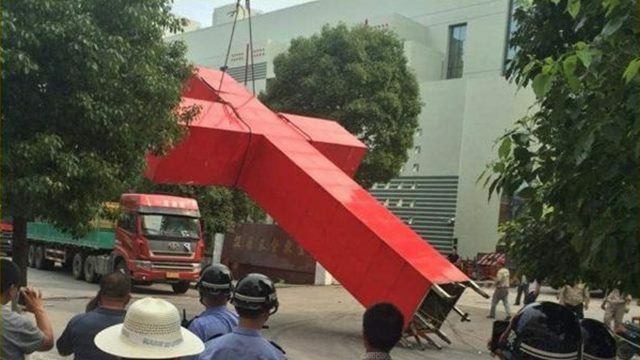 Ultimately, eradicating religion seems to be for Xi a more important goal than improving the abysmal human rights international image of the CCP and the regime.